Was the Whole Smollett Hoax a Setup? RUSH: Jerry in New Orleans and welcome, sir, to Open Line Friday. Hi. CALLER: Thank you, Rush. I appreciate it tremendously. Rush, I’ve got a theory going on right now, and I’m pretty sure that the Jussie Smollett thing is a setup. It’s so that you’ll have Trump’s Justice Department against Jussie being, of course, you know, a gay American and also a black American. And I think that what they’re trying to do is they’re trying to do a separation with all of the black community that Trump has actually been able to bring into the fold. And I think that there’s a way to stop it is not to investigate Jussie Smollett but it’s to go ahead and investigate Kim Foxx. And this way we can stay away from that Jussie Smollett thing they’re trying to set us up on. RUSH: Okay. Let me see if I understand. You think that the Smollett thing was a setup to pit Smollett, who’s gay and African-American, against the white nationalist Trump, and then if Trump then again engages Smollett, that’s supposed to make African-Americans who now like Trump abandon Trump because Trump’s going after the black gay guy. So you think Trump should go after the black attorney rather than the black actor. CALLER: I understand where you’re going with that, but she’s an authority figure, okay? 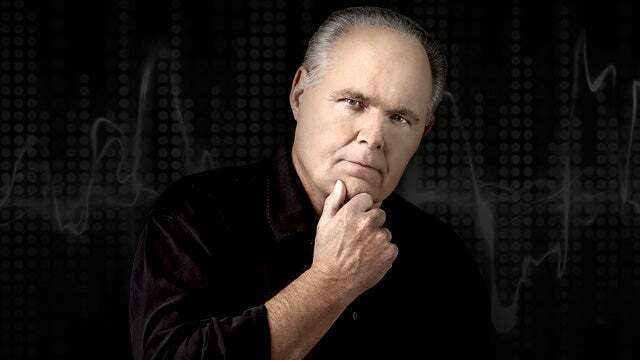 RUSH: They can’t — the Justice Department — the only thing you can do with Smollett is go on the mail fraud aspects because he mailed these phony hoax letters to himself, and that is the only thing in this that’s federal. Since charges have essentially been dropped, I mean, they don’t even want to get close to double jeopardy. I don’t think they were ever intending to go after Smollett. The investigation, to the extent the FBI may do something, is gonna be of the entire process that took place in the state’s attorneys office of Cook County. I don’t believe that Smollett was ever gonna be Trump’s target in terms of investigation. Now, when this whole thing’s a setup, who we talking about? Remember a guy named Robert Creamer? Robert Creamer is the husband of congresswoman Jan Schakowsky of Illinois. You know what Robert Creamer was doing? Robert Creamer hired thugs to attend Trump rallies as Trump supporters who would then start beating people up. Robert Creamer had over 50 appearances in the Obama Oval Office during Obama’s presidency. Robert Creamer was paid by entities related to Hillary Clinton to hire people to show up in Trump rallies as Trump supporters wearing the MAGA hats and start beating people up. And they were so successful that they got a Trump rally in Chicago postponed just on the threat that Trump supporters were gonna start beating people up and the cops said, “We’re not sure we can keep control of it.” So the Trump rally gets canceled. So if the Democrats were willing to do that and more, if they’re willing to rent mobs all over to join protests and start protests in places like Ferguson, Missouri, and Baltimore, then is it a stretch to think that maybe some leftist lunatic with a lot of money would concoct a scheme starring Jussie Smollett, who would love the publicity, who hates Trump, who would love to be part of a publicity stunt and hoax in which he supposedly gets beat up at 2:30 in the morning by a bunch of deranged Trump supporters. They’re not gonna wait around for that to happen. If they think that there is political opportunity, they’ll make it happen. Remember, these people are not steeped in reality. Their daily needs are fake news, a fake narrative. Facts and reality let them down too often. But whether or not any such allegation of a conspiratorial act will ever come forward, be proof for it, who knows. But just the idea that the Democrats are capable of it is possible? Totally, in my view. RUSH: Craig in Chicago. Great to have you, sir. Hi. CALLER: Rush, it’s an honor. Calling from the heart of MAGA country. RUSH: And it’s great to have you here from the Big 89 WLS in Chicago. CALLER: Indeed. Indeed. I was listening to you earlier about the possibility of the Smollett thing being an actual staged event, and I think I could put a little meat on that bone for you. And I don’t say I know this for a fact, but some of the coincidences are just too much to ignore. CALLER: Given that Smollett is good friends with Kamala Harris, Obama, Valerie Jarrett, and so forth, actually Harris and Smollett are involved in a group called Time’s Up, which is a group that serves, you know, oppressed minorities. RUSH: Right. Yo time is up, and then the sound of jail cells closing or something. Yeah, I’m familiar with it. CALLER: In December Kamala Harris introduced an anti-lynching bill in Congress that was pulled back. Smollett then becomes a victim of what? RUSH: Well, yeah, there was a noose. There was a noose. They were gonna lynch him. Exactly right. Yeah, yeah, yeah. That’s the picture they tried to paint. That’s right. CALLER: Not done yet. The Chicago prosecutor, Kim Foxx, considers Harris a mentor. CALLER: She’s on her Facebook page. They’re very close. RUSH: Hang on. I misread the clock by one minute. Hang on. I’ll hold you through the break here. Do not lose your train of thought. There will be a test. Take a brief time-out, and we will continue right after this. RUSH: — and that Smollett is very much aware that Kamala Harris introduced a non-lynching bill as though there’s lynching still happening, and then he does the little hoax deal complete with a noose. So keep your train of thought going here. RUSH: Oh, she did try to try to make it look like she recused herself, but she didn’t. She pulled a hoax on everybody with that. RUSH: Well, okay. Hannity, yeah, yeah, yeah, yeah, yeah. I meant within the Drive-Bys. You’re leaving one name out here because you — in fact, maybe more. Let’s not forget the name Tina Tchen, the former chief of staff for Obama made phone calls to Kim Foxx. Tina Tchen — Michelle Obama, the Obamas somehow are linked in this, possibly, and people are saying what could they possibly benefit, how could they possibly benefit from being seen as being a part of this travesty? His theory as a former prosecutor in this office is that there’s some powerful figure out there somewhere who wanted this case dropped, who wanted Smollett walking free and did not want anybody to ever know who this VIP is. So let’s put this together here with old Craig. There’s somebody here very important who had pull with the state attorney who does not want to be implicated. Okay. Could that be somebody who arranged this hoax? Remember the people that arranged this obviously thought it’s a slam dunk. We’re gonna get away with it. Remember these people believe the lies they tell each other. Well, it blew up. And Smollett wasn’t able to bring it off and the hoax was discovered. And so Barnett’s theory is that whoever concocted this at the beginning has the power to get it dropped because of a connection to Kim Foxx or somebody else who has connections to Kim Foxx. So now the gates are wide open to start speculating on who would be, could be this stated VP. Ben Marquis wrote the story about Randy Barnett’s tweet here in the Western Journal and there’s this pull quote: “In the end, we may never know if there was some very important person behind the scenes that pulled Foxx’s strings with regard to Smollett, should the case remain closed and all files sealed.” They’re even saying that was an accident. Have you heard that? Ah, sealing the file was an inadvertent thing but you know once it’s sealed, you just can’t unseal it out there. And Rahm’s going about this in exactly the way that you would think a law and order person would. This is a bastardization of law and order. This is two-tier justice, somebody scams a system with a hoax getting away with it, and he’s ripping into a young and handsome and virile black gay guy. You don’t think Rahm Emanuel heard about that? Rahm, what the hell are you doing, dude? So the next day Rahm goes out there and all of a sudden now it’s Trump’s fault. Now, the piece de resistance — ready for this? — I haven’t heard an update on this. I heard this this morning, and I don’t know that it’s not still operative. Jussie Smollett has been nominated for an NAALCP Image Award. Now, on the one sense, it makes sense because Democrats fail up. Resume is enhanced as a Democrat by doing dumb, stupid things and getting caught. Failure is a resume enhancement of the Democrat side. 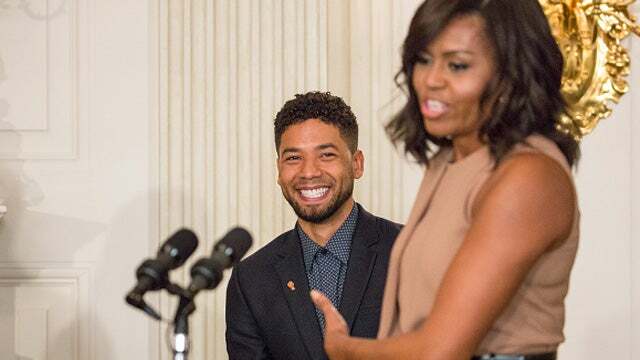 But I’ve still noticed that Jussie Smollett does not have the full-throated support of Democrats. He’s got some of them. But there’s still a lot of people that are really bent out of shape about this because it’s not something that they could get. The NAACP is trying to follow the Obamas’ lead. You think the NAALCP is doing this on its own? You want to talk about the presence of VIPs? You think somebody’s calling the NAACP and saying, “You are going to give this guy an Image Award”? I mean, I use this all the time, but it’s true. Dan Rather is exposed for a completely made-up hoax with forged documents suggesting George Bush evaded military service as a member of the Texas National Guard. The moment he’s exposed as a peddler of forged documents, a new journalism award was created for him by Tom Brokaw and Peter Jennings — and a gigantic dinner to give him the award — because they had to save “journalism.” They had to save liberalism. They had to save Rather. So is there a gigantic VIP that’s calling the NAALCP… Remember, Smollett did 18 hours of community service for the Reverend Jackson, and that’s how he satisfied that requirement. You know, you go to work for that bunch, you learn how to shake down corporations. So the NAALCP, whether it’s their own idea or somebody influencing them to do it, they’ve now diminished themselves trying to reposition this guy as a victim! He is a wealthy, handsome, virile African-American gay guy, Hollywood actor. Everybody knows it. The victim card doesn’t work, but they’re trying it anyway — and, unlike Trump, Jussie has not been exonerated. The stench around this whole sordid tale is thick, and it reeks of fake. 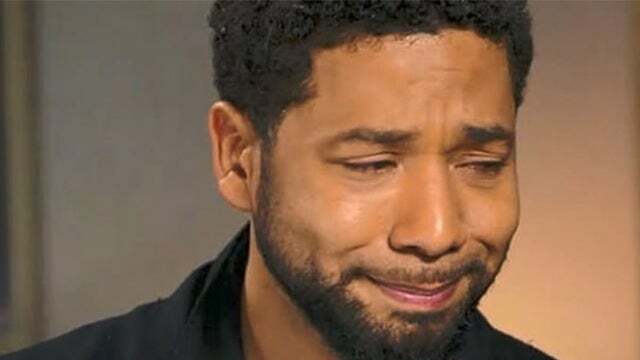 So Jussie Smollett, in the end, what has he done? Has he harmed Trump? Has he damaged Trump? Has he damaged the Republican Party as a bunch of racist pigs? Well, there aren’t any Republicans in this story. This is Chicago. 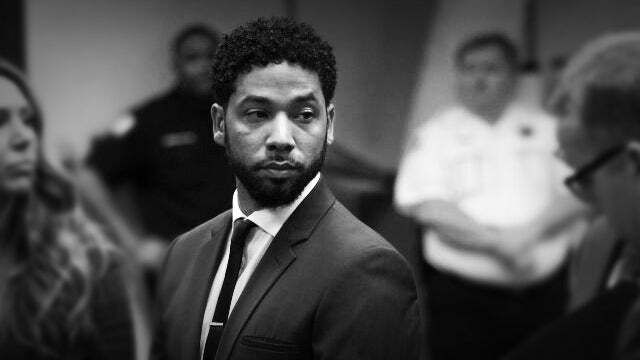 Jussie Smollett has advanced nothing other than corruption, and we will, in all likelihood, know more about it someday. I think we’re gonna find out about this at some point. There are too many people whose noses are bent out of joint here who are being impugned. People that followed the letter of the law and did he went right are being contestant in negative lights, and some of them aren’t gonna like this.